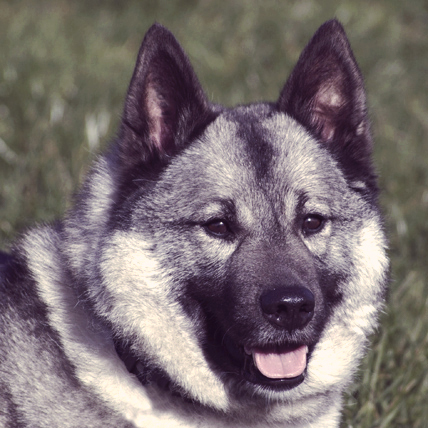 IS The Nowegian Elkhound RIGHT FOR YOU? Norwegian Elkhounds are known for their intelligence, loyalty, and inseparable bond with their masters. The Nowegian Elkhound is a good family dog, but requires regular interaction to be happiest with their family "pack." They are an incredibly friendly breed, but their intelligence and independence make them difficult to train. One of the oldest breeds ever, the Norwegian Elkhound is thought to date back some six thousand years, all the way back to the stone age. This dog was bred to assist in the hunt, being used by Vikings to sniff out, chase down, and corral elk, moose, and even bears. Also capable of being a sled dog, this breed was a versatile companion. Because of this, the Norwegian Defense Minister still holds the right to mobilize all privately owned Norwegian Elkhounds should they be needed to assist during wartime. Contrary to their skill set, this breed is most commonly seen as a family pet. They were recognized by the AKC in 1913. The Norwegian Elkhound looks in many ways like a German Spitz -- the square frame, long(ish) hair, wedge shaped head, pointy ears, and tightly curled tail. They also have the Spitz’s trademark feline paws. Their coat is hard and thick to keep them warm in the harsh Nordic conditions they were bred in. The Norwegian Elkhound is extremely aware, loyal, smart, and kind breed that loves their family unconditionally. Despite their unstoppable family love, this breed may be wary of strangers. Great with kids, the Norwegian Elkhound will protect the younger members of their family tirelessly. Possibly difficult to train, this breed has a lust for playing and won’t stop until they get their fill. 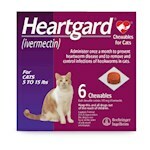 Also, because of their hunting background, this breed should be watched when in the presence of non-canine pets. The Norwegian Elkhound has a gray coat with lighter undercoat. They also have black on their muzzle, ears, and tail.